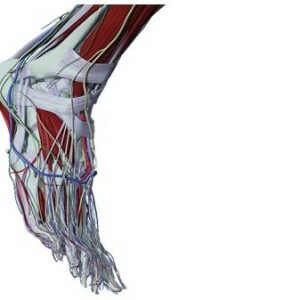 Arguably the most complex and advanced engineering of the body, the human foot is made up of 26 bones, 30 joints, and over 100 muscles all working together to give us the ability to walk, run, and jump up on two legs. Hundreds of thousands of nerve endings constantly send information to our brain giving us awareness of our contact with the ground to provide stability and precision movements. It’s no wonder that a simple injury in the ankle or foot can set off a cascade of chronic ongoing pain and faulty mechanics. When treating the foot, it’s important to make sure all surrounding muscles, ligaments, nerves, joints, and tendons are moving how they were originally intended. Treating only one specific area, too often leads to chronic reoccurring dysfunction. At Chicago InHealth Center, we take pride in our ability to accurately assess your condition to determine and design an appropriate treatment plan. Dr. Graham Pommeren has vast experience working with many conditions of the foot and ankle. With an additional degree in Exercise Physiology and experience working with several dance companies and part of the U.S. Speed Skating team he has gained insight in the complex nature of chronic conditions of the foot and ankle. Treadmill Evaluations are commonly performed in the clinic to evaluate the foot during movement to allow a more clear picture of the condition.